Whether you're new to stamping and papercrafting or have been enjoying it for years, there's a stampin' event for you. Breakfast club - come for coffee, make a card! Are you new to stamping or maybe you've wanted to try it but haven't because your not sure where to start? Maybe you've been stamping for a while but haven't use Stampin' Up! products or would like a opportunity to try some new products. Well, then the Breakfast Club is for you! Come for tea, coffee and a light bite and meet new friends while making a one card using a variety of Stampin' Up! supplies. All you need to bring with you is your adhesives and scissors. 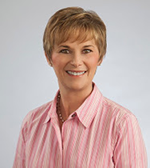 Not sure what adhesives you need? No worries there will be adhesives available for purchase. The cost to attend is $5.00 per class. Stampin' Technique Class is a class where you can learn new techniques and tips while sharing your love of papercrafting with others who love it too! Each time we meet, we'll learn new tecnhiques while making 2 projects that you'll take home with you. Want to keep track of the techniques you're learning? Why not start a technique album. When you attend Stampin' Technique Class, you'll also receive a technique note card to put in your technique album. All you need to bring with you is your adhesives and scissors. Not sure what adhesives you'll need? No worries, there will be adhesives available for purchase. The cost to attend is $10.00 per class. A fun and creative class designed especially for teens (ages 12 and up). A small group activity where teens can explore the art of papercrafting while building creative skills and having fun with friends. Projects will vary month-to-month. The cost of this class is $20.00. This month's projects will have a Valentine's Day theme! Have you ever stamped on a candle? It's a great way to turn a plain boring candle into something beautiful that will surely look lovely in your home or make the perfect gift. 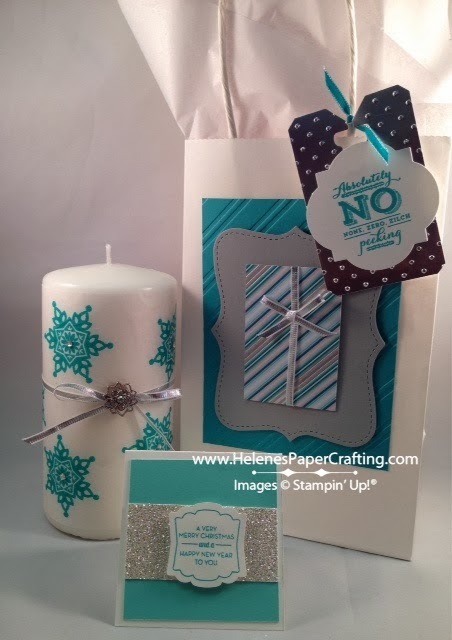 In this class, we will create a stamped on candle and matching gift bag. All you need to bring is your adhesives and scissors. Not sure what adhesives you'll need? No worries, there will be adhesives for purchase. The cost of this class is $20.00. Here's a candle and gift bag I made and gave away as a holiday gift. We'll be making something similar but with a Spring theme!